Are you looking for information on fixing your crooked teeth? Even if your teeth are just a little bit crooked, they still have the potential to cause you severe problems. When your teeth are in their proper position, it is much easier for the bristles on your soft-bristled toothbrush to clean the entire tooth surface. For any food particles that may be stuck between the teeth, floss can help to clean these hard to reach areas. Having teeth that are not properly aligned makes it more difficult for the bristles to reach certain parts of your teeth, which means some areas will remain dirty. Over time, these unreachable parts will begin to cause you health problems. Why would someone have crooked teeth? There are a few reasons why someone would not have a straight smile. Thumb or bottle sucking is one of the more common reasons. Continually pushing the tongue against the teeth over a period time can also cause them to shift from their proper alignment. If someone happens to lose their baby teeth too early, the adult teeth no longer have a guide for growing into proper position. Occasionally people are born with a couple of extra teeth, resulting in crooked teeth because there simply is not enough room in the mouth to accommodate additional teeth. The following is a list of five common reasons why someone should be concerned if their teeth are crooked. Having crooked teeth can make it difficult for you to chew your food properly. This can result in a doctor diagnosing you with jaw problems. You may develop TMJ due to poorly aligned teeth. Having crooked teeth can cause a wide variety of dental problems. You cannot clean your teeth well if they are not in place. You may develop cavities or gum disease as a result. Having crooked teeth can general health problems. If you receive a gum disease diagnosis, then you can expect headaches, diabetes or heart disease. Crooked teeth cause bad breath, also known as halitosis. Since you cannot remove bacteria from your teeth, these organisms multiply and produce a rancid gas. Crooked teeth promote early wear on the teeth due to unintended rubbing. This will eventually lead to worn down tooth enamel since your teeth are making contact unnaturally. Is it time your fixed your crooked teeth? If you have crooked teeth, then looking into teeth straightening choices today is highly recommended. The longer your teeth stay crooked, the longer your oral health will remain in jeopardy. Making an appointment for a dental examination so that you can understand the choices available to you for straightening your teeth is going to be a great first step. The entire appointment will often take less than an hour, and we can get you scheduled in at a time that is convenient for you. Are you ready to get your teeth straightened once and for all? 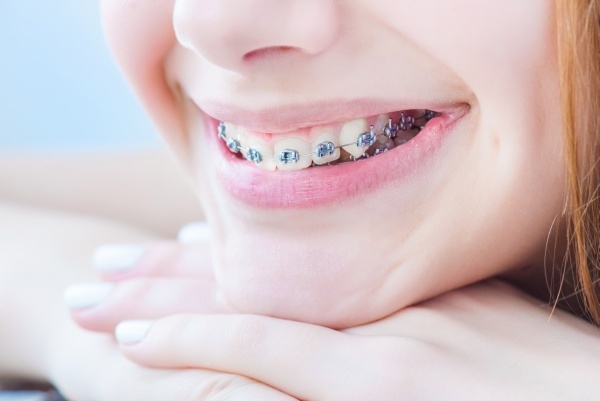 Request an appointment here: https://www.brooksideorthodontics.com or call Brookside Orthodontics at (209) 732-1124 for an appointment in our Stockton office.